Simmers on social networks such as Reddit and Facebook are reporting that they’re able to claim The Sims 2 Ultimate Collection through customer support – 3 years after the promo action took place. It all begain in 2014 in July when EA decided to give out The Sims 2 Ultimate Collection completely free. This offer only lasted for 7 days and because of the short duration of this offer many simmers haven’t been able to redeem their free copy in time. 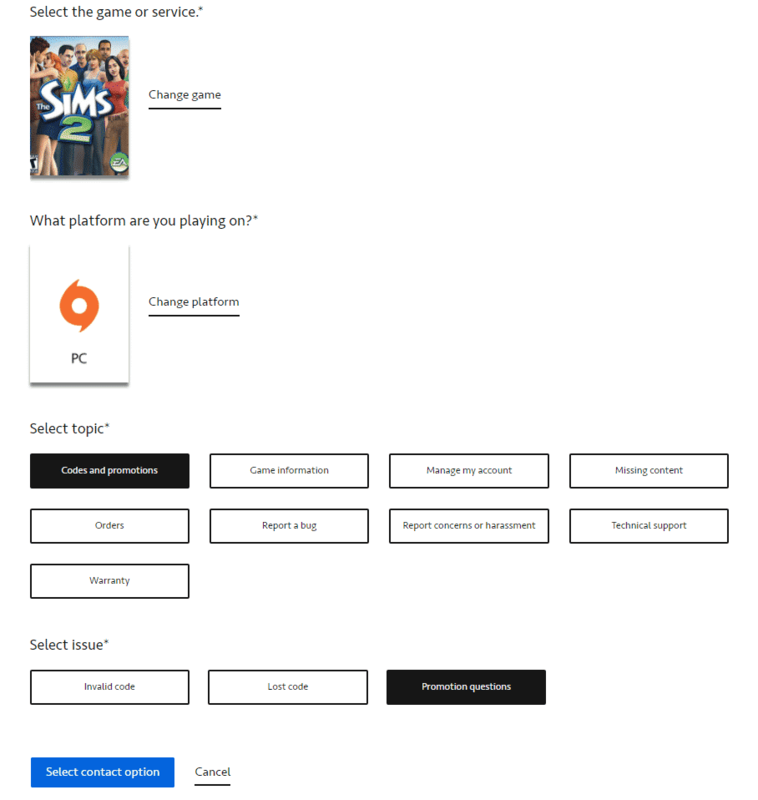 If you still haven’t gotten your free copy of The Sims 2 Ultimate Collection you may be able to redeem one by contacting EA Support, and here’s how to do it (as told by simmers on Reddit). Please note that not every solution might work and that in some scenarios you have to be persistent because not every person at customer support will be ready to give you the game. Contact EA Help on Twitter and ask that you missed out on this opportunity. Some may require proof that you have a physical version of the game as a solid background to give you the game for free. Make sure that you attach an image of any of your Sims 2 games in a physical format. Some may not require that. Some may require proof of a digital game code found in any of your Sims 2 game boxes. Some, once again, may not require that. We hope you succeed in claiming your free Ultimate Collection game! Also, thank y’all for this article. It’s really helpful. It is true I got mine like this July, I couldn’t believe it when they gave me the code. Not true, I just connected to a support person in EA Live Chat. He told me they don’t give away copies of the sims 2 any more because its old and they don’t support it anymore and it doesn’t run that well. Which I can attest to the last one. Mine doesn’t run that well anymore. On 22/9/17 I did have the chance to talked to one of the employee in EA UK about this rumour of a free Sims 2 Ultimate Collection which he told me that is no longer free and EA employees know there is a rumour from other websites claim the promotion is still going. Despite, he told me that the promotion has expired over few years and if you have the physical copy of the Sims 2 since Origin Service is having a technical issue to put the original Sims 2 into their service they would help the customer. Since I don’t own the sims 2 (PC) I’m unable to get the update and free Sims 2 Ultimate Collection. I would recommend everyone to call EA for clarity on their free content in any games rather than rumour from other websites. me and my brother tried a few months ago and it worked! it took me a few tries but if you keep trying, it eventually works. just depends on who you speak to. my friend also tried after i told him and it worked for him first time. Was given it yesterday! Game runs smoothly and oh has the nastalsia hit hard!!! I just got Sims 2 Ulitimate Collection,and yes you’re still able to get it if you figure out how to react the right way ,just think smart and lie a bit! I just got mine after 2 tries. It still really works, people. I was asked for a serial code, and that person was so cool they’d let me look it up on Google and was willing to try any code that I provided. I was asked to take a pic of my game disc with a case number they provided & todays date written on it with pen or marker. can you keep trying til it works or is it a one time try type thing? Just contacted EA support via chat, and with proof (picture of a game manual) i got it! It still works!